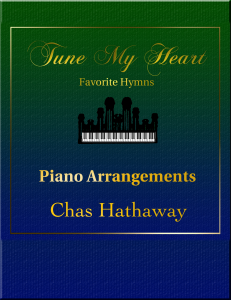 You can get the sheet music or free MP3 of this music on my website. “At about the age of twelve years my mind became seriously impressed with regard to the all-important concerns for the welfare of my immortal soul, which led me to searching the scriptures, believing, as I was taught, that they contained the word of God. Thus, applying myself to them and my intimate acquaintance with those of different denominations led me to marvel exceedingly, for I discovered that they did not adorn their profession by a holy walk and godly conversation agreeable to what I found contained in that sacred depository. “This was a grief to my soul. Thus from the age of twelve years to fifteen I pondered many things in my heart concerning the situation of the world of mankind, the contentions and divisions, the wickedness and abominations, and the darkness which pervaded the minds of mankind. My mind became exceedingly distressed, for I became convinced of my sins, and by searching the scriptures I found that mankind did not come unto the Lord but that they had apostatized from the true and living faith. And there was no society or denomination that built upon the gospel of Jesus Christ as recorded in the New Testament. And I felt to mourn for my own sins and for the sins of the world, for I learned in the scriptures that God was the same yesterday, today, and forever, that he was no respecter of persons, for he was God. “My heart exclaimed, ‘All these bear testimony and bespeak an omnipotent and omnipresent power, a being who maketh laws and decreeth and bindeth all things in their bounds, who filleth eternity, who was and is and will be from all eternity to eternity.’ And when I considered all these things and that that being seeketh such to worship him as worship him in spirit and in truth, therefore I cried unto the Lord for mercy, for there was none else to whom I could go and obtain mercy. And the Lord heard my cry in the wilderness and while in the attitude of calling upon the Lord, in the [15th] year of my age, a pillar of firelight above the brightness of the sun at noon day came down from above and rested upon me, and I was filled with the spirit of God. And the Lord opened the heavens upon me and I saw the Lord. (Joseph Smith, “Kirtland Letter Book” [MS, LDS Historian’s Library], 1829–1835, 1–6; the original spelling, punctuation, capitalization, and grammar have been altered to conform to contemporary usage). Also cited in the Presidents of the Church Institute Student Manual, pages 5-6. I tried to portray my feelings about the Savior while writing this arrangement. I don’t remember a time when I didn’t know Jesus was real, but I’ve had a number of experiences that have confirmed that knowledge, again and again. I think the big discovery for me was that His atonement was for me. It took some soul searching, praying, studying, and conversing with God to convince me that Jesus loved me that much. Others, sure, but me? Now I can’t get over how incredibly loving, caring, and understanding He is. Seriously, me??? And it’s no fairy tail. All that stuff about Him suffering for my sins, rising from the dead, and being God’s literal son, it’s all real. So real, in fact, that He continues to change lives every day. So real that He continues to change my life–every day. I love Him. Oh, how I love Him! It’s no wonder He asks much of us. He sees more in us than we can comprehend. And because He lives, now you can, too. 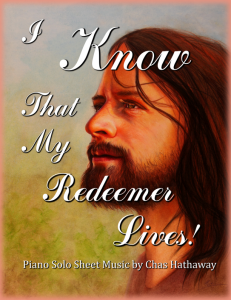 My Sheet Music Book is Finally Available! Yay! 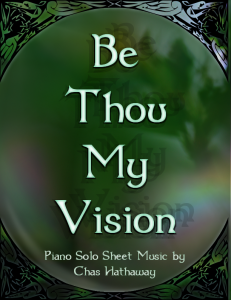 I finally have my sheet music available in a book format. You know those cool spiral-bound books that make it super-easy to play them at the piano? Well, that’s what it is. You can also get the book as a downloadable PDF.